It’s almost Father’s Day and if you’re dating a divorced or single man with children, it can be an exciting day to share together, but also a day filled with emotions for all. From gift-giving to should you be joining your guy on Father’s Day, here are five dating and relationship tips to honor the dad your adore in your life. 1. New Relationship – If your relationship is new and you haven’t met his kids yet, let him enjoy the day alone with them. It’s not time to introduce the new girlfriend to the relationship. Remember to send a sweet text message in the morning wishing him a “Happy Father’s Day.” He’ll appreciate that you care enough to acknowledge the day and aren’t making the day all about you or the relationship status. 2. Already Met His Kids – If you’ve already met his kids and don’t have children of your own, have a conversation about how he wants to spend the day. He may or may not want to include you in the day if he’s concerned about his own time with his kids, so don’t take it personally. Offer to celebrate Father’s Day with him separately by suggesting making a home cooked dinner the night before as a “date night” or by giving him tickets to his favorite sporting or concert event for him and his children to go to together. 3. Blending the Families – If you have children of your own, don’t insist on blending the families if your children won’t be with their father or suggest splitting the time on Father’s Day between two families. Everyone will feel a bit left out with half of a celebration. Go ahead and let your date know you respect his time with his children and make other plans with your kids and go to a movie. Father’s Day is still a day to celebrate the mother in their life. 4. Gift-Giving – Don’t go buying him an extravagant gift if your relationship is new, give him a photo montage of just the two of you, or suggest going away for a romantic weekend trip. 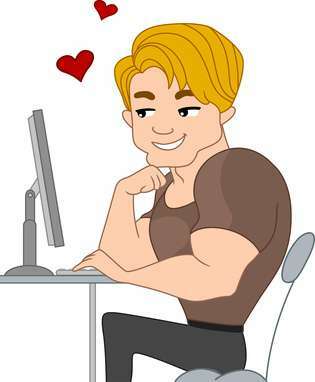 He might feel overwhelmed if you haven’t become serious or “Facebook Official” yet and could withdraw from the relationship into that man cave of his. Instead, send him an iTunes musical CD if he loves music from his favorite band, or send a fun e-card. I’m a big fan of JibJab filled with cute and whimsical animated music cards. It’s the thought that matters. 5. Don’t Assume You’re Included – If you’ve met his kids and see them on a regular basis, ask your guy if he wants to be alone with them on Father’s Day. Then ask him to talk about it with his children to see if they’d like to go out as a group or just with their dad. Maybe they will go golfing or bowling during the day and you can meet them later on for a barbecue. His kids will appreciate that you consider their feelings on the day that they celebrate their dad. Remember, single dads are really interested in meeting women who want to share time with their children, at an appropriate time. Match reports that single dads are 56% more likely to email single moms than men without children. Eventually if your relationship progresses, you’ll be blending the families on his weekends, but don’t rush into it just yet. How are you planning on celebrating Father’s Day this year? Julie Spira is America’s Top Online Dating Expert and Digital Matchmaker. She’s the author of the bestseller, The Perils of Cyber-Dating: Confessions of a Hopeful Romantic Looking for Love Online and creates irresistible profiles and coaches singles on the dating scene. Like her at Facebook.com/CyberDatingExpert and follow @JulieSpira on Twitter for dating advice. Interested in improving your odds on Tinder? Check out SwipingRight to help you find your dream date. 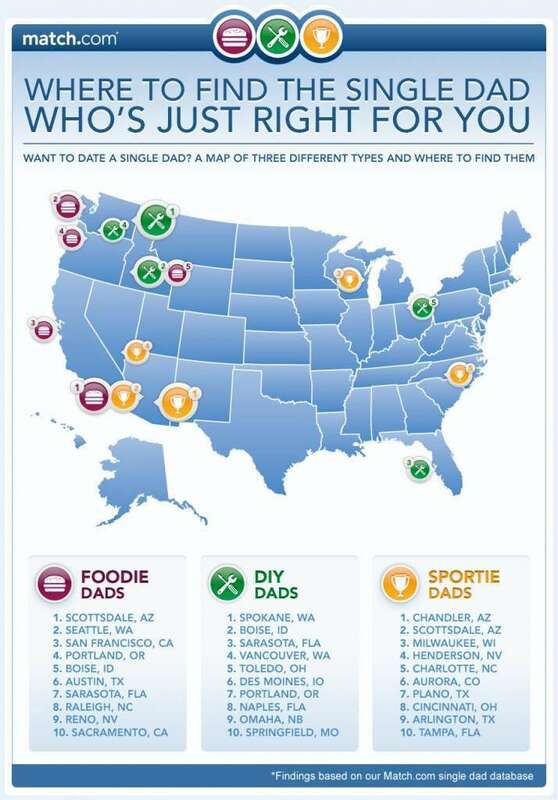 Foodie-Dads: The online dating site polled their members and found that those men who are happy in the kitchen can be found in Scottsdale, Seattle, San Francisco, Portland and Boise. Do-It-Yourself Dads: You won?t have to head to Home Depot alone if you?re in Spokane, Boise, Vancouver, Sarasota, or Toledo. Sports-Crazed Dads: If you?re ready to fall for a sports fanatic or at least cheer him on, you?ll be the most successful in two cities in Arizona, Milwaukee, and Charlotte, to name a few. 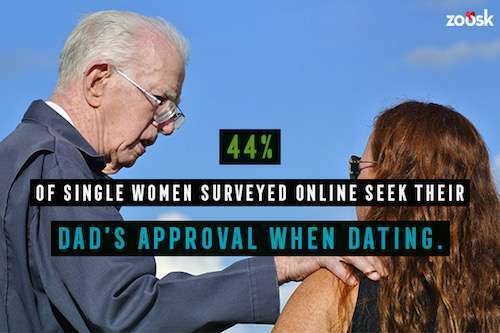 When?s the most popular time for single dads to log on to look for love? According to Match?s members, early in the morning. Most men sign on from 6am ? 9am, over coffee and a newspaper before they get ready for their busy day. 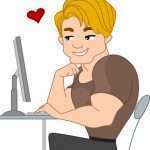 Whitney Casey, Match.com?s relationship insider and author of The Man Plan says it?s because their testosterone level is the highest when they wake up. 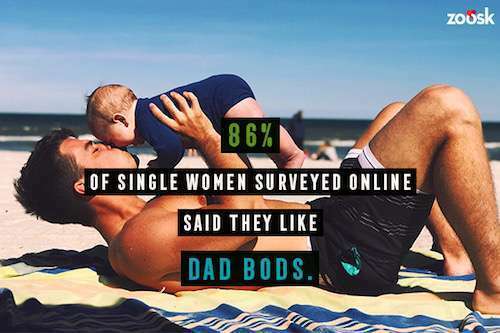 The best news is that single dads are really interested in meeting women with children. 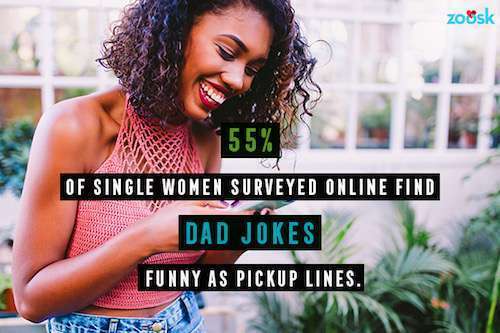 With 30% of Match?s male members being single dads, newly divorced and single women with children should be able to fill their date card. 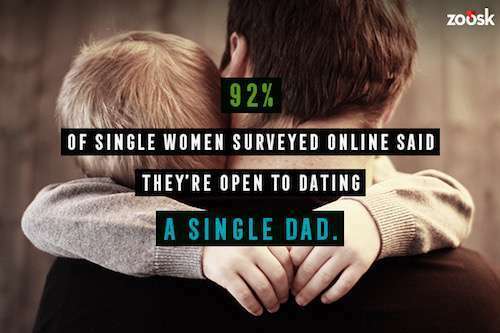 Match reports that single dads are 56% more likely to email single moms than men without children. How are you planning on celebrating Father’s Day this year? Julie Spira is an online dating expert and author of the bestseller, The Perils of Cyber-Dating: Confessions of a Hopeful Romantic Looking for Love Online. She creates irresistible profiles and coaches singles on the dating scene. Like her at Facebook.com/CyberDatingExpert.